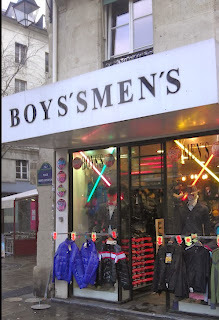 At first glance, this Parisian shop, captured by Simon, suffers from an apostrophe catastrophe. 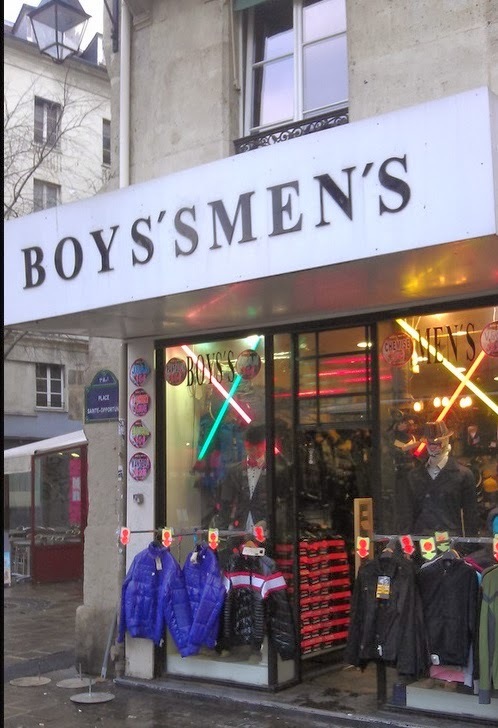 However, the problem is actually the extra "s" between "boys'" and "men's." And the lack of space, so it looks like one long, bizarre word. '90s throwback Boyz's II Men's? Um... wouldn't that be '90s throwback? Is the store by chance located at the end of the road? I think they meant to put an ampersand and chose the wrong symbol! You Can Find the Courage to Change Careers!